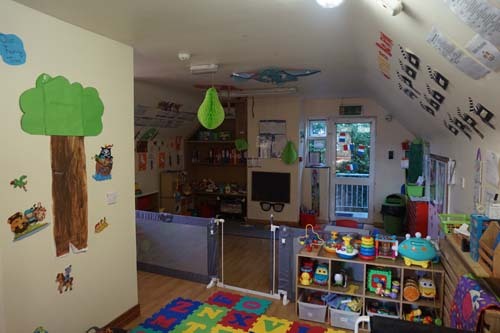 Our Baby Unit provides care for children between the ages of 6 months and up to 3 years. Our Baby / Toddler Unit is dedicated to providing individual care for all our children. We have 2 supervisors managing the unit on a daily basis who are in a floating position helping our team deliver the best possible care to our babies. We follow the new early years framework Aistear when planning all our activities and experiences for your children. Every day we set up our environment to promote all areas of development and we follow each childs individual interests when planning our themes. 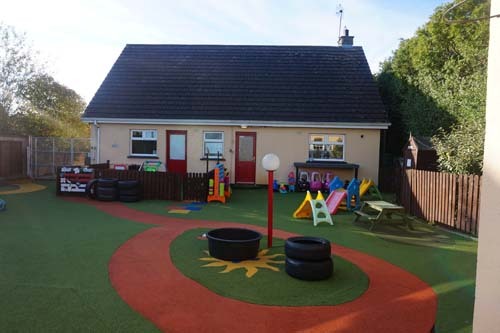 We have recently had our baby toddler unit outdoor area refurbished with an all weather artificial grass surface. 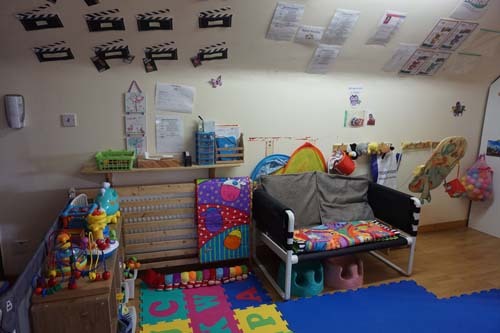 In our Baby unit we offer a 2 week free settling in service which allows parents and children to transition smoothly into our care. During the nurturing process parents can design a plan around their own babies individual needs such as food, feeding methods and comforting techniques. During this time parents have an opportunity to bond with the team who will be caring for their baby. All parental wishes and preferences are implemented into your babies daily routine where possible.